Also as expected (and as predicted by yours truly months ago), the release contains “revelations” about Oswald’s contact with the Russkies that throw a new “How Much Did Those Dastardly Russians REALLY Know?” lifeline to the Oswald lone wolf fairy tale that has long been abandoned by the public. Accordingly, expect much more pontificating about the Mexico City trip and other elements of the Oswald fiction from the MSM talking-head class as we approach the assassination anniversary later this month. In addition, we’ve seen other distractions and previously-released documents and hoaxes being revived along with the public’s renewed interest in the assassination. Someone sent me the McCone-Rowley memo, portraying it as a “new document” from the recent release and not a decade-old long-discredited hoax. The “CIA photograph of Hitler in 1954” that’s making the rounds right now has, as my New World Next Week co-host James Evan Pilato points out, been available for months now. Indeed, JFK assassination research has become such an arcane and specialized field that even the most honest and well-meaning of researchers can get tripped up misinterpreting a key document or falling for an old hoax. 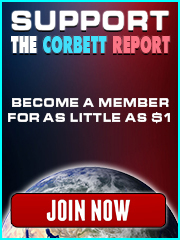 That’s why I set The Corbett Report community the task of trawling through the JFK Files archives in an open source investigation earlier this week. After all, thousands of heads are better than one. 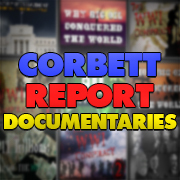 Join James as he goes for a deep dive through the JFK files in this week’s edition of The Corbett Report Subscriber.